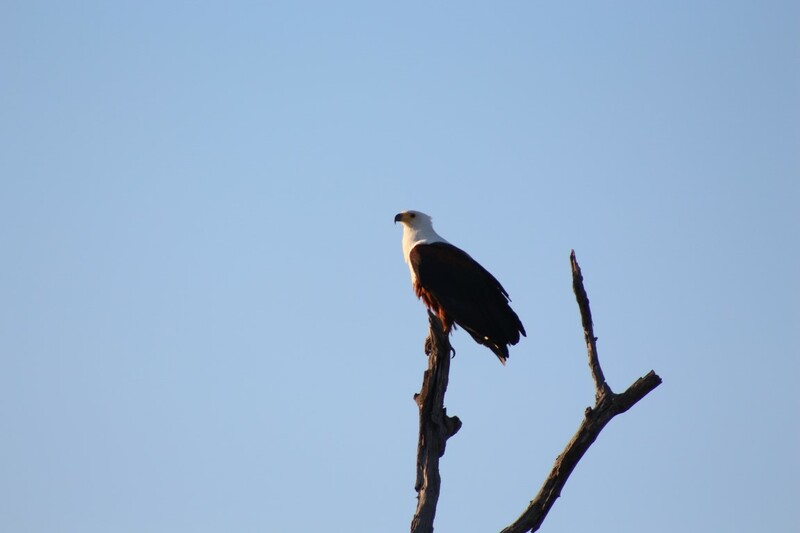 The African Fish Eagle, as its name suggests, lives mainly on fish. 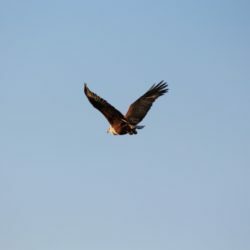 It has specially adapted talons for catching fish. 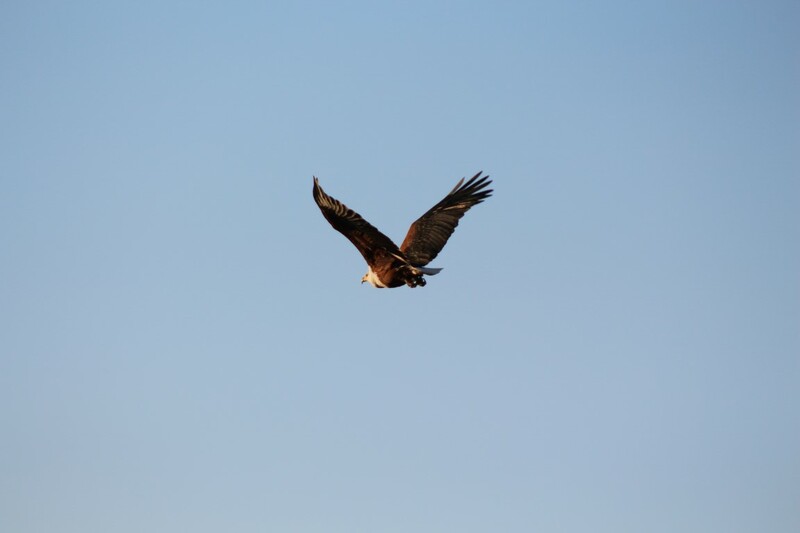 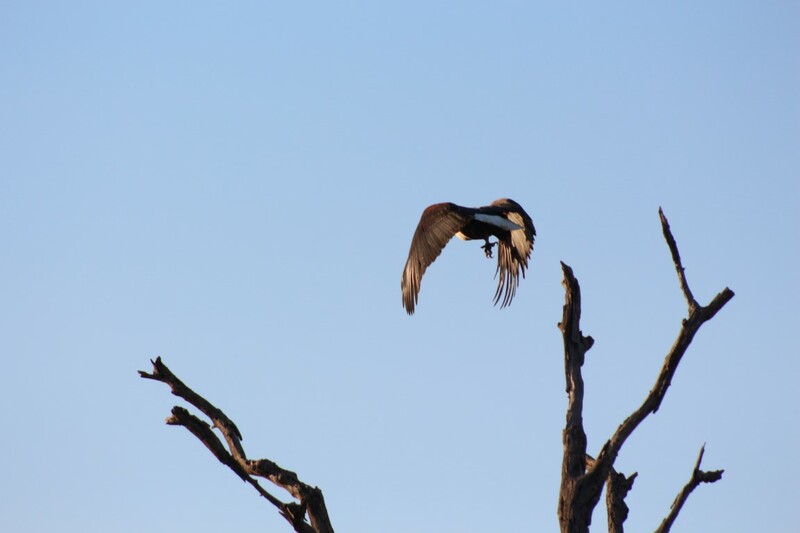 Since fish have a slimy mucous covering it, it makes it difficult to hold on to them, but the fish eagle has barbs covering its talons which allow it to get a firm grip on the fish, preventing it slipping out. 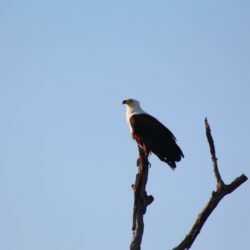 A fish eagle sometimes even catches prey that is too heavy to lift out of the water – holding on to the prey, it then settles on the water and, using its large wings as paddles, slowly paddles its way back to shore to feed. 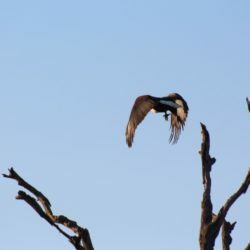 Fish eagles don’t always hunt their own food, they are also known to practice Kleptoparasitism, which means that if another bird such as a Goliath Heron or a Saddle-billed Stork has caught a fish, the fish eagle will swoop in and steal their food from them, saving itself much needed energy as well as getting itself a free meal.